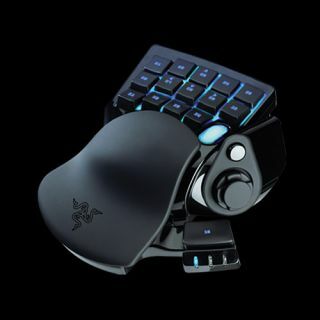 Razer has announced the arrival of its latest gaming keypad – the Razer Nostromo. The keypad has been co-produced by Belkin and is an update of the n52te Speedpad. There are a number of improvements that have been made and these include: the ability to switch instantly between eight keymaps (up from three), and the flexibility of storing up to twenty gaming profiles from the previous limit of ten. There is also a new onboard chipset and software driver that enables gamers to program macros of unlimited length. The all-new configurator software for the Razer Nostromo has an enhanced UI, which allows gamers to customise all the buttons with any game command to open up numerous commands and combinations. "A few years ago we had the privilege of working with Belkin to co-develop the highly successful Belkin n52te Speedpad," explained Robert Krakoff, President, Razer. "The Razer Nostromo is an update to this illustrious gaming keypad to meet today's competitive gaming demands. "Building on the Speedpad's proven ergonomic design, the Razer Nostromo incorporates the latest gaming technologies that Razer has developed over the past few years." The Razer Nostromo is available now and is priced at €69.99, which is around £60.